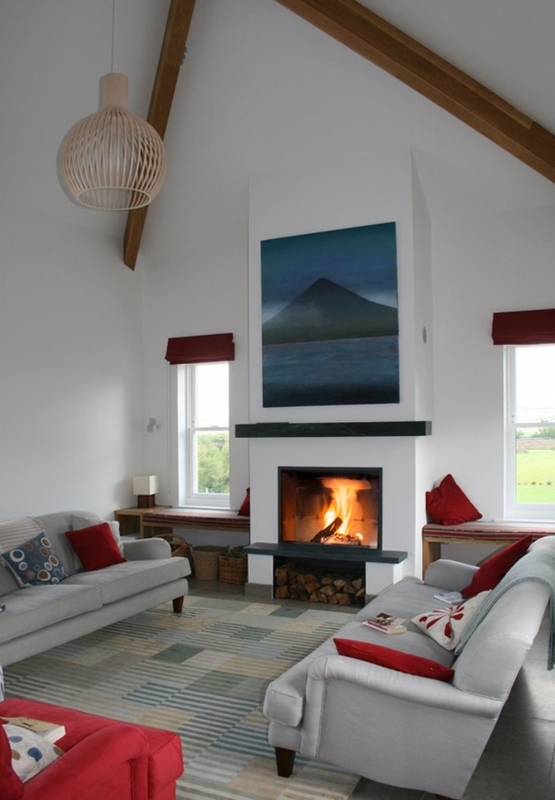 Stuv 30 in and Stuv 21-95 installation wood burning stove installation from Kernow Fires. 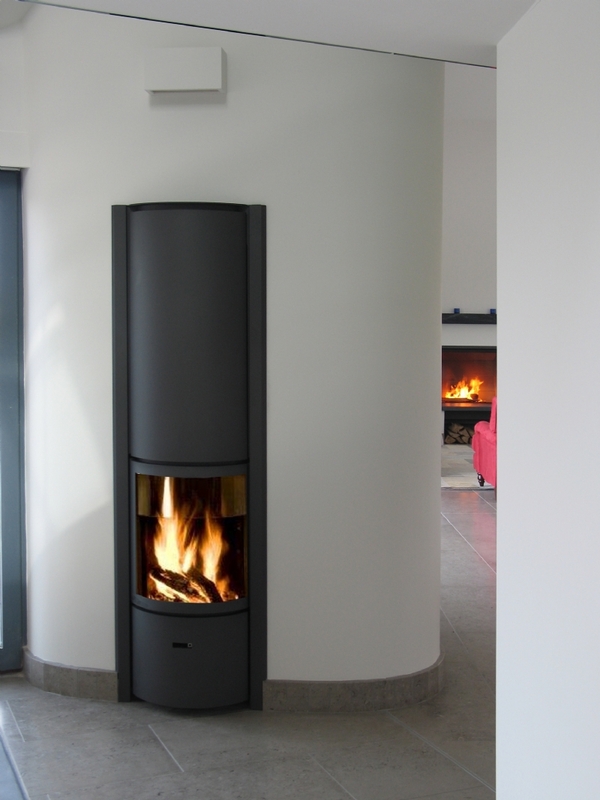 Customers Aspirations: Two contemporary inset stoves to enhance the design of the building. 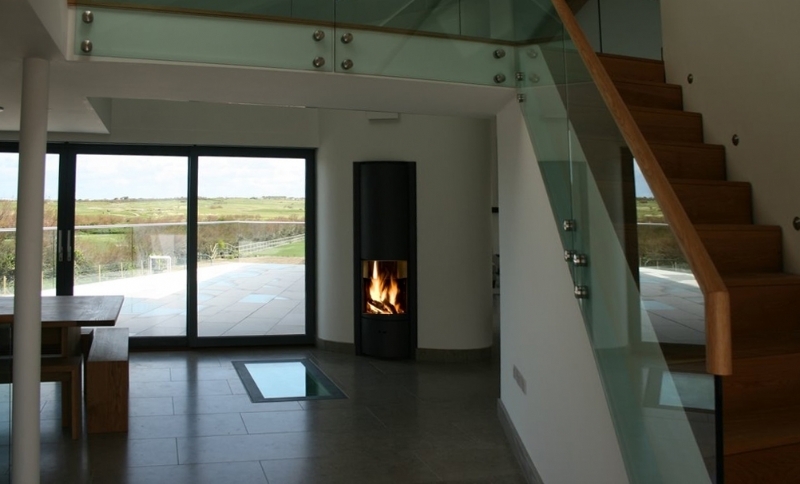 One to emphasise the curve of the open entranceway wall, both with enough output to heat two large areas. Special Requirements: Polished granite hearth and mantle. Bespoke woodstore. The Stuv 30in woodburner has a unique feature, a turning door. 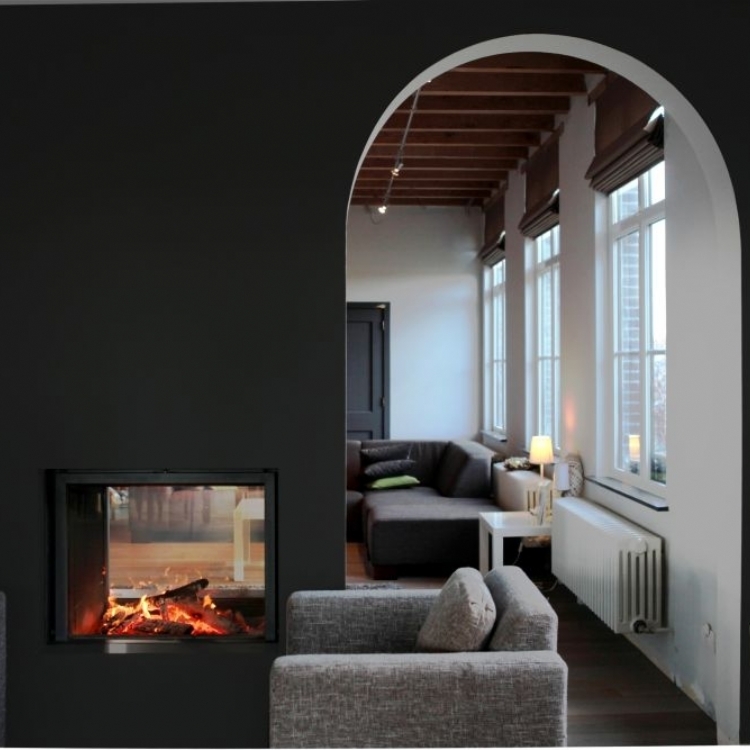 This gives you the option of having a beautiful curved glass door which compliments the curve of the entranceway wall, an open fire or a steel door. This works brilliantly in this setting as it can change its appearance with the mood of the house creating a wonderful atmosphere upon arrival whatever the occasion. 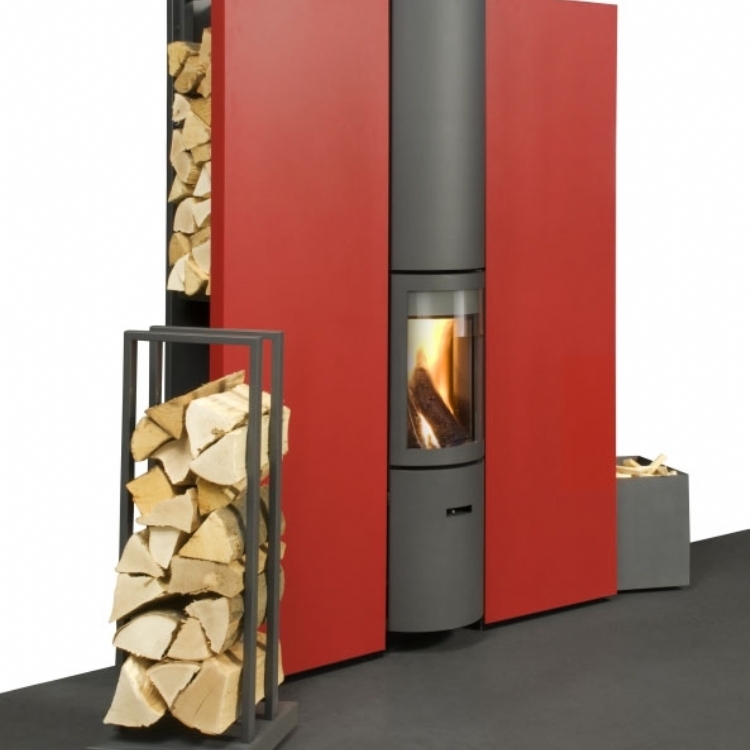 The large Stuv 21/95 creates an imposing feature within its specifically designed and built breast creating enough heat to warm this huge area. 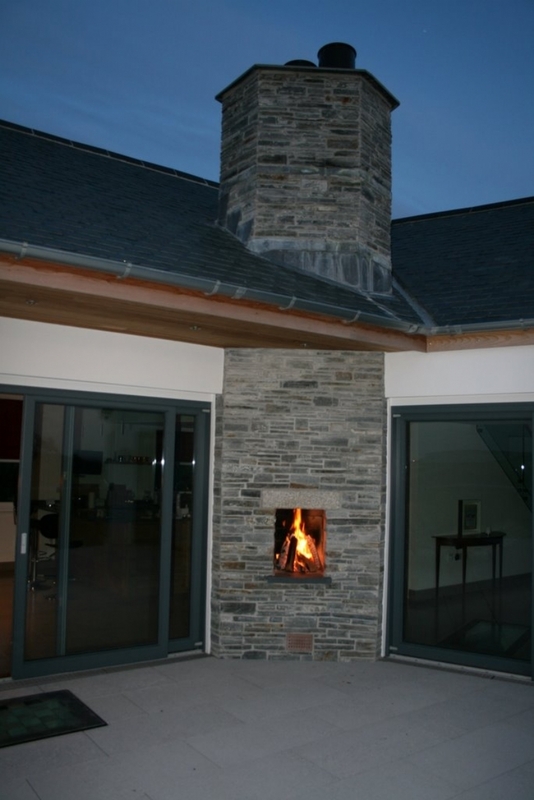 The outside fire is a simple open fire adding a bit of ambiance to outside of this wonderful home in Cornwall.